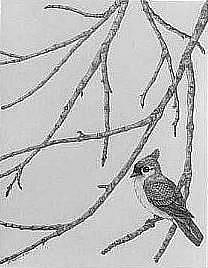 This tufted titmouse outside my window was sketched on a winter's day. It has an Asian feel that I like. Matted & framed behind plexiglass.